Beautiful Incentives: Is the new Thrive Market better than Vitacost? Is the new Thrive Market better than Vitacost? I'm not quite sure yet, but I am seeing AMAZING deals! Less than $2 for Braggs Apple Cider vinegar?? I also notice Thrive Market offers more of a variety than Vitacost. As much as I do love my Vitacost, this may be my new go to for healthy organic foods, cleaning products and beauty! If you sign up under me now, you'll get $30 when someone else does under you. PLUS, there is a 25% off coupon code right now AND you get FREE Shipping if you spend over $49! 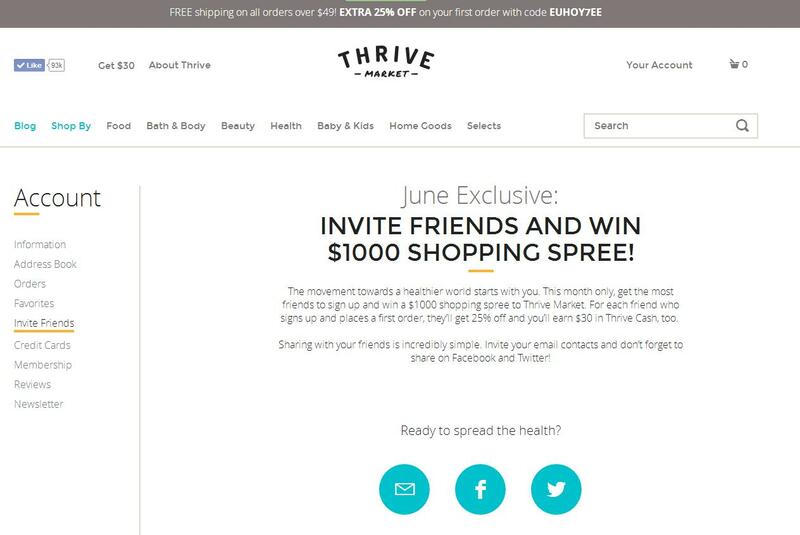 ALSO, enter to win a $1000 shopping spree to Thrive Market! Easy Email entry!